Hello, I’m Mark Lidster and I look after the clients at HA2 Hypnotherapy. I know from personal experience that life can get you down. That’s probably why you’re here. The good news is though that you don’t have to cope on your own. Using hypnosis and a range of talking therapies, I’m here to help you take the right steps. Steps towards making lasting and positive changes to your life. Changes that will free you from the anxieties, phobias and negative issues that are holding you back. If that sounds like something you want to find out more about, then please call, text or email me. Alternatively, use the contact form by clicking here and filling in your details. Or check out the testimonials below to see how I’ve helped some of my recent clients. It actually works!! You have to be willing to put the effort in too, but if you need help to take control of what’s bothering you in your life this is for you. Having Mark to talk to is great he’s also wise and insightful. If you’re hesitating whether to try it out, just do it! It’s helped me a lot. I’ll definitely be coming back. I went to see mark with various issues going on in my life, he has been brilliant every step of the way. He has a very unique and personal approach to helping you. His practice is a perfect, very good place to feel comfortable and at ease. Mark is very easy to talk to and has helped me rebuild my life and expectations, his Hypnosis is so good, you come way feeling fantastic, thank you mark, I fully recommend him to anyone seeking help. 10 out of 10 , do not hesitate give him a call . Make your life better . I did , so glad I made this choice. I’ve been seeing Mark primarily regarding my anxiety which is exacerbated by my OCD. 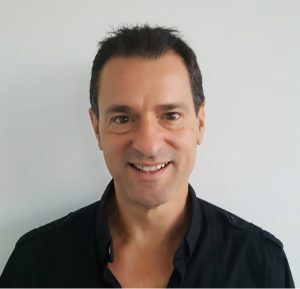 He is excellent at both hypnotherapy and talking-therapy and has really helped to provide me with the tools to help control, manage and reduce my anxiety. Mark won’t try and lock you into numerous sessions nor will he try to sell you products, he is only concerned with empowering people to live their lives as they see fit and he does this in a relaxed, non-judgmental environment. What really sets Mark aside from a lot of therapists and people in general, is that as well as talking the talk, he walks the walk. He has experienced a lot of things, both good and bad, in his life and this enables him to provide more than textbook knowledge. He is very easy to talk to and very open about himself. This really allowed me to build trust with him which imo is essential when talking about myself and what I viewed as my “darkest and embarrassing” secrets/issues. Thank you Mark for helping me get over a relationship that was ruining my life. I am so grateful because Mark helped see that I could let go and stop feeling guilty and bad about what happened and was free to get on with the rest of my life. Why not take 15 minutes out of your day and sit down and relax to my free Total Body Relaxation hypnosis video. It will help you unwind, de-stress and set you up for the rest of the day. Hypnosis is a totally natural state of Mind. Your state of awareness changes regularly during everyday life, perhaps while you are driving or drifting towards sleep. Hypnotherapy provides a safe and natural way of re-programming your thoughts, behaviours, and even your body using the power of your mind. Hypnosis and therapy work together, when you have reached a deep and pleasant state of relaxation. During this stage, the hypnotherapist provides positive suggestions to the subconscious mind to help you achieve your desired goals. Deep within your subconscious you have an amazing capacity to become receptive to new understanding, ideas and information. You can access the power already within yourself as you are guided towards developing new insights, changing unwanted habits and achieving new goals.